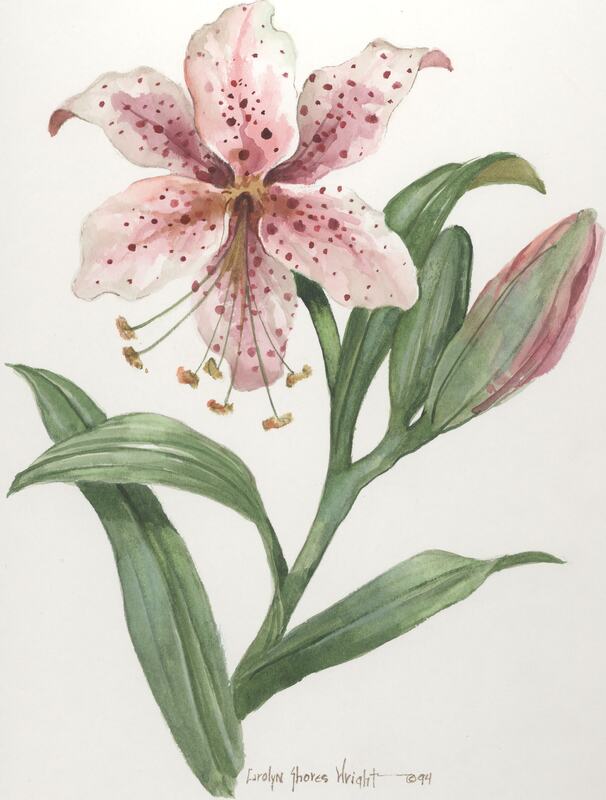 Original watercolor paintings and prints by Carolyn are available for sale on ArtFire and Etsy. ROSES! Have you done a rose print(s) that would blend with the color theme of “Old Country Roses” china pattern? (Burgundy, Pink & Yellow combination) Had lamps made from two of their large vases for my guest bedroom night tables. Picture(s) would make a great accessory in that room! Have your BIRD collection; mostly the pinks and blues, i.e., 50+ from ceiling to floor on two walls! Sorry to be so long in responding…I’m answering for mom, since she seldom uses the Internet….she does tell me that she doesn’t have an original or print that would blend with the “Old Country Roses” china pattern…mom loves to paint flowers, but doesn’t paint roses very much at all. We’re not sure what you mean by mom’s “BIRD collection”??? But it sounds like you have a lot of her work and she always like to hear from people who enjoy her work! I just acquired one of your paintings of a single bluebird on a branch with orange berries. it is dated 84 and is number 80/500. Does it have a title? or story behind it? thank you so much. Thanks for your message. Birds are a favorite subject of mom’s, and she often paints birds that are blue but seldom bluebirds. She likes the bluejay and titmouse and will sometimes paint warblers blue instead of gray if that fits what else she is doing in the painting. 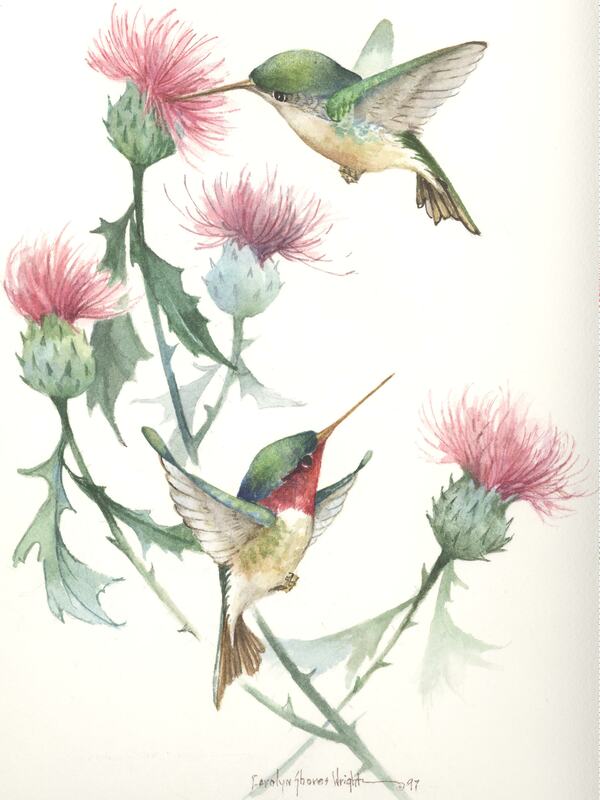 As she says, she paints birds as she sees them, not always as they are in nature. This 1984 print you have acquired is an early one of mom’s, and she doesn’t remember it specifically. Would you be able to email us a photo at chsoresinc@gmail.com and that might helps us identify it. Mom has been very prolific over the years and numerous prints have been licensed from her work as well. Thanks again for contacting us, and we hope to hear from you again! Would you be able to email us a photo at chsoresinc@gmail.com ? That would help us identify the print you have, which is #688 from a run of 1950 copies.. 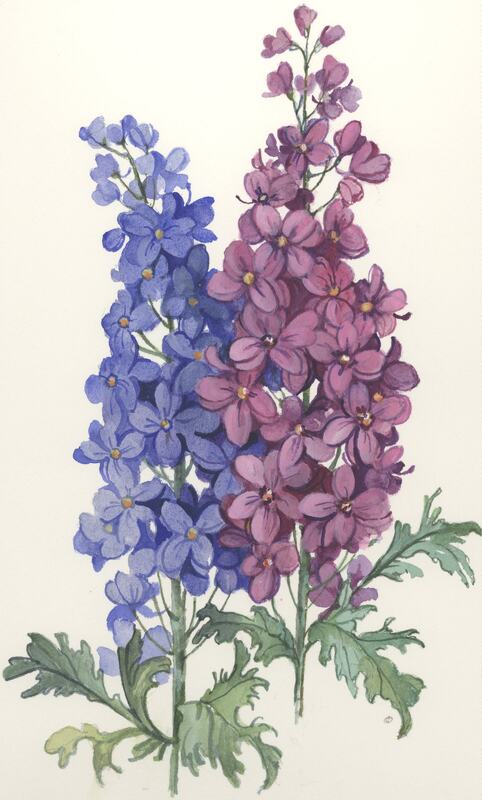 Mom has been very prolific over the years and painted many watercolors with flowers. We would need to see this specific one to be able to give you any more information. I couldnt find an email from you? did you receive my photo and what info did you find out on it? I have an original acrylic Owl with Young that has Carolyn Shores Wright written on the back. Did Ms Wright do this type work? Hello and thank you for contacting us. I’m responding for mom. “Celebration” is a fairly early painting of mom’s; the “81” should be preceded by a “c” in a circle, indicating a copyright date of 1981. What you have is indeed a print. One of the signatures is included in the print run; the second signature means mom actually signed the print you have. “AP” indicates “artist print”; typically, the artist receives a certain number of copies from a print run from their work. Over the years mom has painted thousands of works, many of which have been licensed for hundreds of products, including many prints. I’m afraid we can’t offer any information on current price of any of those items. Thanks again for contacting us. Mom always likes to hear from people who appreciate her work! Thank you for contacting us. The items you have are “Pardners” and “Look Mom, a Bug!’ These two pieces are in mom’s series “Bird Life” which includes a number of humorous bird pictures she has painted over the years. You can see many others at her Etsy and ArtFire shops as well as this site. I have a print with your signature in both the copy and pencil dated 87. Thank you for contacting us. Yes, “Pecking Order” was the first one, and because of its success mom’s licensing company at the time asked for something similar. She did not want to just more or less repeat the first one, so she added the latticework and different expressions for the second one. 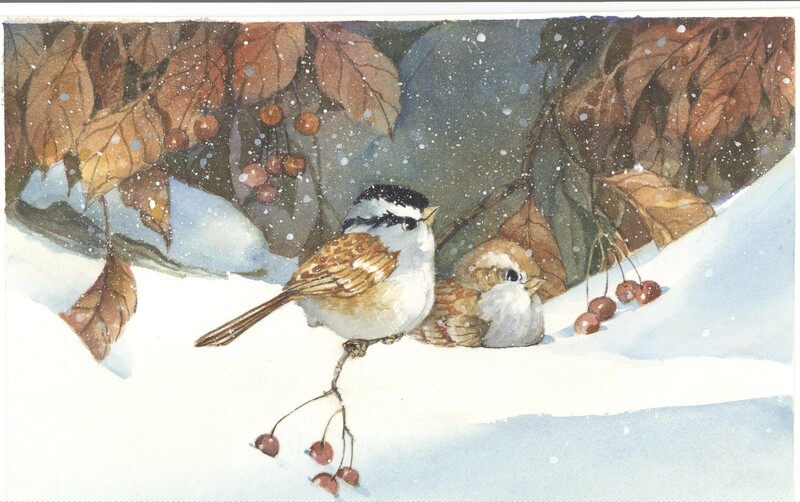 Both versions are still available in different form on a note pad and a greeting card from Leanin’ Tree http://bit.ly/1yNPkTn Thanks again for your interest in mom’s work. I have a rose panel, but haven’t been able to locate it online. Wondering what it might be worth. It’s signed by carolyn shores wright. How do I purchase one of the rose paintings please? All images (c) C. Shores, Inc. All reproduction and licensing rights to images on this site are reserved by C. Shores, Inc.